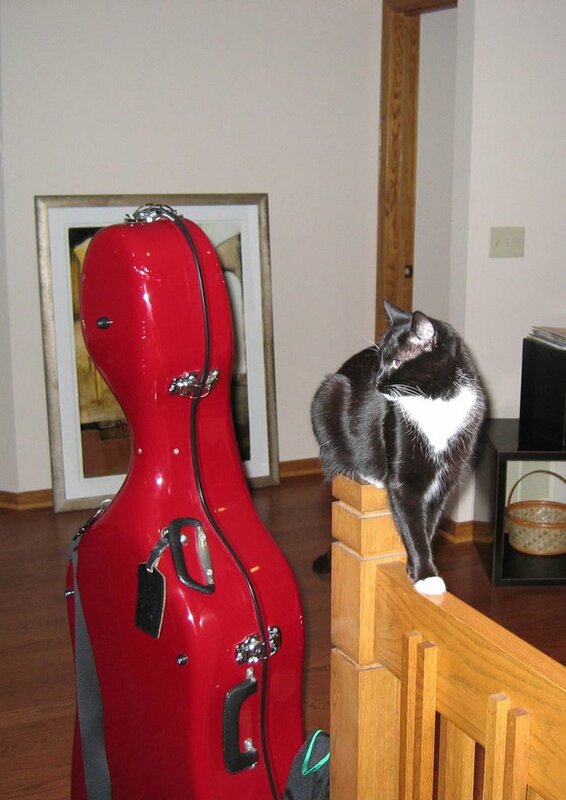 Why not a cello-n-cats blog? As you've shown in the picture, they go together nicely. I envy you that red case. Is it a Bam? Good practice tips there, although you probably weren't meaning to give out tips. Slow, then fast, then rhythm. Hi PFS. No, that's a Gewa, about 4 years old now. I think I'm the only person in the country who bought one, because I have yet to see another like it. Re: the practice tips, remember that the rhythm has to be slow (but correct) when you are slow, and correct (and fast) when you are gesturing in order to have hope of at least getting that at rehearsal. 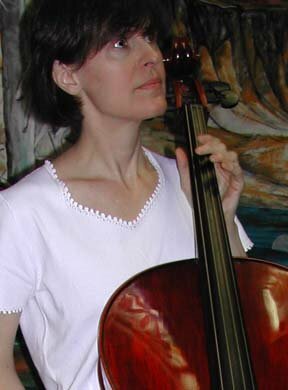 If you leave all rhythm study "just 'till after I get the notes" you may never get it right.